Patented "GAS SAVER SYSTEM" (GSS) cuts waste by reducing starting "GAS BLAST" ~85%. Enough extra gas is retained to purge air at a non-turbulant velocity from the weld start area- improves quality. Just Replace Existing Gas Hose! Over 15,000 in Use! Fits US made and the new Harbor Freight Vulcan & Titanium welders and regualators that use inert gas "B" fittings. Reversing existing hose will verify your hose ends are identical. Have a Miller 211 or new Hobart Handler? CLICK for Info. Need a longer GSS than an FBS4? 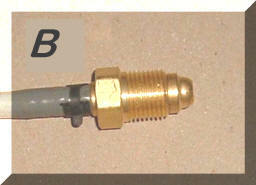 Just order an FB6, FB12, or FB25 and CLICK TO SEND AND EMAIL stating you want FBS4 fittings installed. Don't Have a "B" Fitting On One or Both Hose Ends? The FBS4 above doesn't fit your needs? 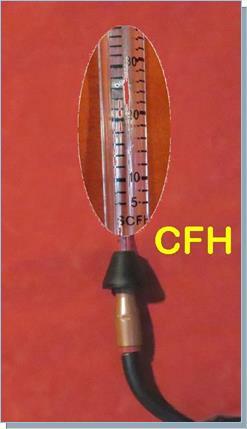 Measure Flow Accuratly at MIG Gun or TIG Torch in Cubic Feet per Hour, CFH. 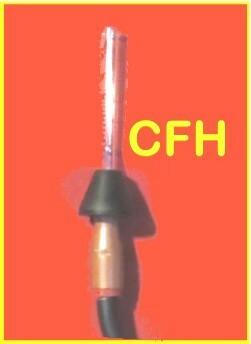 Reads 5 to 50 CFH, has wide 1 inch ID base opening, fits any MIG Nozzle or TIG Cup. See Details Below. We accept most credit cards and use a secure transaction by PayPal. Select the item then click ADD TO CART BUTTON. You can increase the quantity desired in the SHOPPING CART. NO NEED to join PayPal, just use your credit card for a one time transaction by clicking the "Check Out" Box in the Shopping Cart. Then click the link, "Don't have a PayPal account?" - you'll be directed to enter your credit card information, shipping address etc. Need Another Way to Pay? 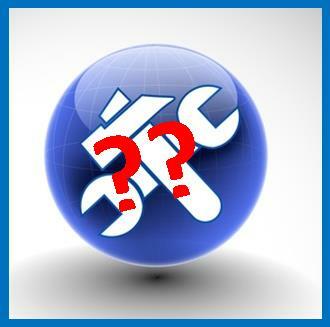 Click to Email a Request. 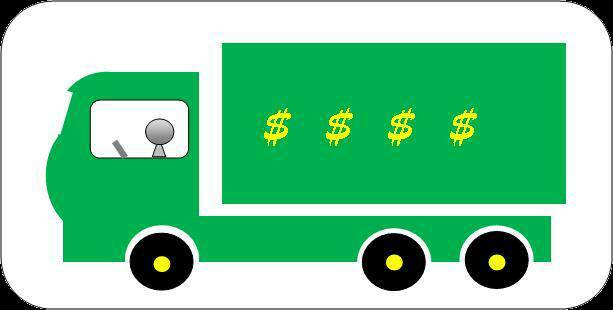 Click for Shipping & Handling Charges for USA Details for obtaining estimates of shipping and handling costs for other locations are also shown on the shipping info page. Click for Page on "How To Install" and Selection of GSS Fittings and for Special Fittings and Adapters for Robots, Specific Welders etc. The patented GSS consists of a custom manufactured, small ID and large OD gas delivery hose that replaces the existing hose from your gas supply (cylinder or piped) to wire feeder (also welder or robot). It includes a special hose fitting with a peak flow restriction orifice on the wire feeder /welder end to improve weld starts. This peak flow limiting orifice reduces the initial gas surge flow rate avoiding excess turbulence and the associated air it pulls into the gas shield. The small ID and orifice, reduce the gas waste at weld start by 80 to 85% while leaving enough extra gas to quickly purge air from the weld start area. Note: Gas Flow Rate, while welding, is set with existing Flowmeter, Regulator/Flowgauge or Orifice at the gas supply to whatever rate is desired. However if welders are setting excessively high gas flow rates (we have measured 150 CFH at the MIG gun nozzle when flowmeter knobs are opened a half turn from where the flow ball pinned to the top of the tube) then the GSS will limit flow to a minimum turbulent rate of about half of what can be set on a wide open flowmeter! This is more flow than needed for any MIG nozzle size, welding current, gas used or allowable drafts. If it is desired to lock flows to meet Weld Procedure Specifications, we have another patented product to help, CLICK to See Patented Flow Rate Limiter. 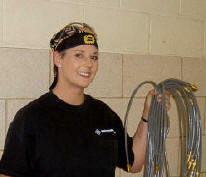 The most commonly used hose fittings for industrial MIG and TIG welders (i.e. 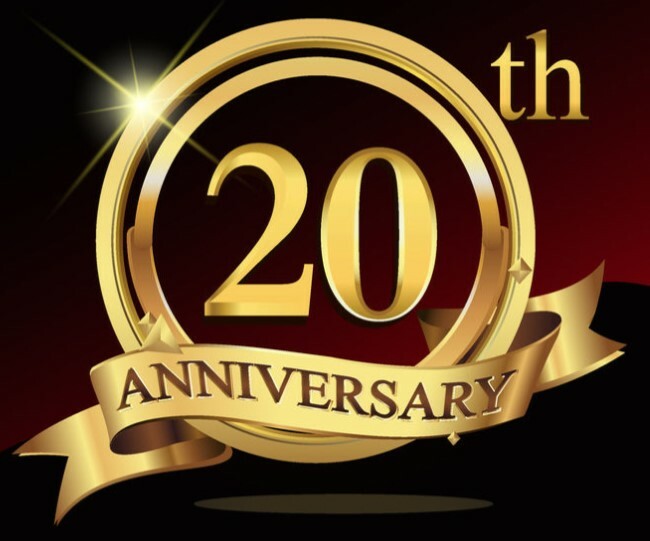 Lincoln, Miller, Hobart, ESAB - and many smaller welders sold by these major US manufactures, is the standard Compressed Gas Association (CGA) fitting for Inert Gas, called a CGA 032 or "B" fitting. See the dimensions and appearance in Photo A & B below. If either your welder, feeder, Robot welder or regulator use another type of gas hose connection, such as a hose barb, or if only a gas hose exits your welder, you can purchase a GSS with a "Splice Fitting" installed on one or both ends for the same price. The Splice Fitting is shown below in Photo C. An adapter is also available for purchase, see Photo C1 Also CLICK to See Installation Details. Refer to Photo's A & B above; if both your feeder and regulator have CGA 032 fittings, also referred to as Inert Gas "B"- you can purchase Part Numbers WAT FB3, FB4, FB6, FB12, and FB25 which come in fixed lengths with the fittings installed (Photo B). Easy to check, see if your hose can be swapped end to end. If so you have "B" fittings on both ends! 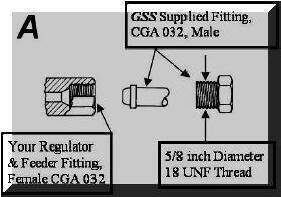 The GSS is then simply threaded into the female fittings on the feeder and regulator or flowmeter. If either the wire feeder/welder or regulator/flowmeter does not have a female CGA (Compressed Gas Association) Inert Gas 032, "B" fitting, or only a gas hose exits your welder, you can order the desired length, FB3, FB4, FB6, FB12 or FB25 with a splice fitting on either or both ends for the same price (See Photo C Above.) Just send an Email when you place your order and state which end (feeder/welder end or gas supply end) or both require the Splice Fittings installed instead of the CGA "B" fitting. Include your shipping address in the Email so we can match the Email with the order. Note for newer Miller 211 welders and most Hobart Handlers, the welders have CGA female "B" fittings but the supplied regulator/flowgauge has a barb fitting. Our FBS4 comes with the proper fittings. When you receive your hose with the Splice Fittings, simply; 1) cut your existing hose close to the feeder/welder and/or regulator and 2) splice in the GSS hose by inserting the barb fitting into the cut hose. The most common 1/4 inch hose barb will come installed on the GSS you'll receive, if a smaller 3/16 inch barb is needed it is supplied in the package and can easily be installed. The weld and gas savings performance results will be the same with either the "B" or Splice Fittings. Click for more details about installation of Splice Fitting Connections or See Photo C1 Directly Below, about the use of an adapter. If you have many MIG welders with different length hoses you may wish to consider purchasing bulk hose and a pair of the special fittings separately (Photo Left). Email for Details. Note, the purchase price includes a paid-up license for the use of our Patent. 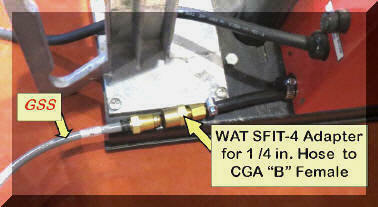 WAT SFIT-4 splices into a short section of existing hose coming from welder, wire feeder (shown in photo left) or welding robot that does not have a CGA female gas fitting. It may also be used on the gas supply end if the flow control has only a hose barb or other fitting, rather than a female CGA "B" fitting. Once installed you can use our GSS with "B" fittings. The adapter provides the ability to connect and disconnect wire feeders etc simply, with a quality metal to metal CGA gas tight seat, Note we can also provide this fitting for 3/16 inch and 5/16 inch ID hose, Email. Some customers who have inexpensive regulator/flow controls that use a hose barb outlet, plan to upgrade to a quality regulator/flow control that uses a female "B" outlet so order a WAT SFIT-4 fitting. 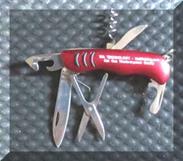 FREE Multi-Tool Pocket Knife with any order for a Gas Saver System. Note: one per order not per system. Customers asked for a way to measure actual gas flow at the MIG gun or TIG torch. We added a high quality portable flowmeter shown on the left. Order Part Number WAT PFM. "Your portable flow meter is better than sliced bread. The welding suppliers in my area looked at me like I had six heads when I described it to them. When I purchased mine off your website, I showed my normal supplier your site and I believe he already has one ordered for himself!" 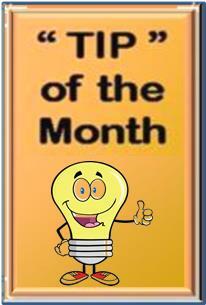 "I received the portable flow meter and used it to measure the output on two robotic torches. I was able to show that our processes are not in control. Both torches were supposed to have restriction orifices in line, but had been modified at some point by drilling or removal of the orifices. When tested, they pushed the ball up to the maximum flow position on the meter. We presently have no plumbed-in gas flow meters on any of our production welding torches. Your portable meter won my argument to purchase and install permanent flow meters across the board (total 40). 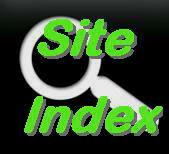 It will also help us to set up our new inline indicators, as well as troubleshoot future porosity problems. 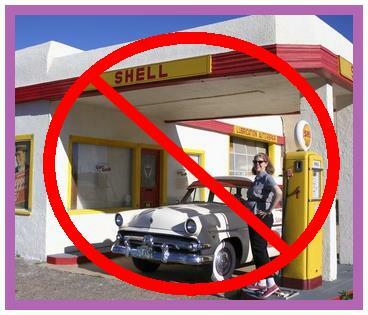 An additional benefit, of course, is that we will probably greatly reduce our gas consumption costs. Thanks for a great tool for a great price!" 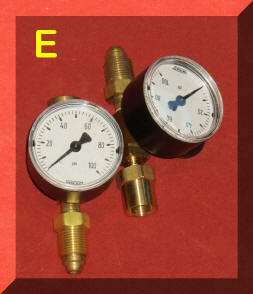 This 0 to 100 psi pressure gauge has a CGA 032 "B" female fitting on one end and a male CGA 032 "b" fitting on the other. 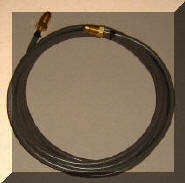 1) Check pressure in the gas delivery hose to define flow restrictions. 2) Check pipeline pressures. 3) Demonstrate why the major cause of gas waste is the gas surge at each weld start. Details on how to use the device are included with the instructions supplied with the product. To keep focus on saving, not selling shielding gas, this patented, inexpensive product is only available directly from us. There are over 15,000 in use in industrial shops. For a partial list, look under Customers in the BUY Box on top of the page.